Naples may have a reputation for being a little rough around the edges, but if you want to see a true Italian city without the massive tourist crowds, then this is the place to come. It can also serve as a convenient base to explore many nearby sights in the area. Naples is also significantly more affordable than more popular cities such as Rome, Florence, of Venice. It's relatively easy to find cheap accommodation and there are some great hostels in the area. If you're traveling alone, you can easily find a hostel with a social atmosphere and staff that can help you coordinate many activities or tours throughout the area. You'll also find a wide range in quality across different hostels so make sure you read reviews before you book a room. How much do hostels in Naples cost? Giovanni's Home is an impressive and affordable place to stay in the middle of Naples. If you're looking for a truly authentic experience, then this is a great option. It has a local vibe and you'll likely meet Giovanni himself during your time here. If you want to stay in a local hostel, not another mass produced chain, then come here. The staff is wonderful and most speak English. They can help you with any travel related questions that you might have. 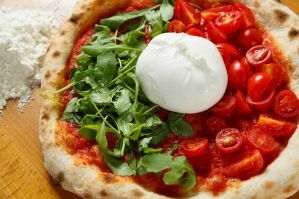 If you're lucky, you might even get to enjoy a home cooked traditional Italian meal. The hostel is comfortable with air conditioning and modern furnishings. There is a shared kitchen that you can use and a large terrace that looks out over the city. Dorms sleep eight people and you can choose between female only and coed. This hostel has become a favorite in Naples. It has a welcoming and fun atmosphere and it's centrally located in the city center. The staff will welcome you as soon as you arrive and will go through all of the details and information about the area. They can recommend restaurants, bars, and activities around town. It's conveniently located near both the ferry terminal and the bus terminal so it's an easy jumping off point if you're headed to either Pompei or the Amalfi Coast. They can help you make all of the travel arrangements as well. This hostel is regularly listed in most guidebooks and it continues to receive any number of awards, so it is best to book well in advance. If you're traveling alone, you'll know there will be other guests interested in making friends so it won't be hard to find temporary travel companions here. This is a great place to base yourself during your time in Naples. 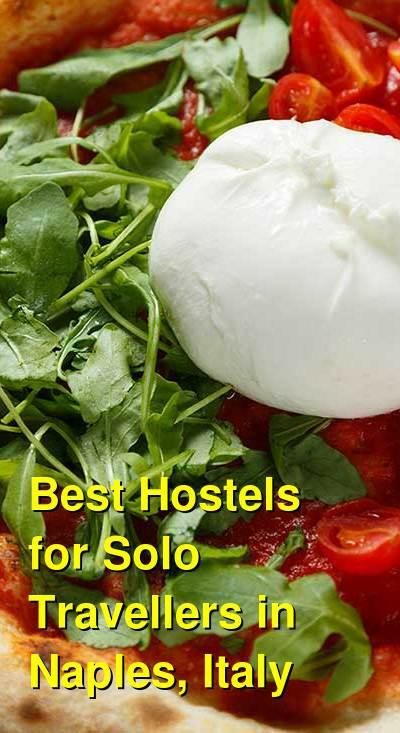 This hostel is another favorite among travelers to Naples. It has a great environment with many places for guests to relax and hang out. There is a large garden where you can take advantage of the beautiful climate. There's a bar and a fully equipped kitchen that guests can use to prepare their own meals. There is also a computer room, lounge, and free wi-fi throughout the hostel. The hostel can help you book any number of activities including walking tours or "floating tours" on a traditional Neapolitan boat that goes into the Naples Gulf and visits places such as Capri, Sorrento, and more. The hostel is located in the city center in a safe area that is about halfway up the Vomero Hill. It's easily accessible from a metro station and you can walk to many important sights around town including Sant'Elmo Castle, the Royal Palace, Spaccanapoli, and the Modern Art Museum Madre. This hostel is a great place to stay if you're using Naples as a base to explore other areas. It's easy to meet other guests as well and you're sure to find a few friends here. Hostel Mancini is a popular backpacker hostel that is great for independent travelers looking to meet other guests. It's located very close to the Naples Central Train Station so it's a great base to explore many of the area's nearby attractions including Pompeii, Mt. Vesuvius, Sorrento, and Herculaneum. The ferry terminal is just a ten minute walk away. It's also near the city's main universities and is surrounded by great restaurants and interesting activities. The hostel has some great amenities including free breakfast, free wi-fi, and a full kitchen that guests can use. The staff is wonderful and can help you with any questions you might have. They have all kinds of travel suggestions and can provide you with a free city map. The hostel has a tv room where guests enjoy relaxing. They organize free walking tours for guests as well and there are regular activities that encourage socializing among guests. Dorms are available in a range of sizes, both coed and female only. There are also family rooms available for those traveling in small groups.